A day trip to the beautiful village of Killin in February. A mini cruise with my parents in May stopping off at Guernsey, the birth place of Dad’s father and grandfather. We opened our gardens in aid of the local library and Kinghorn in Bloom in June 2017. In early July we enjoyed a hot break in Crete. August was a wonderful month of memories. The family gathered to celebrate Dad’s 90th birthday at Stoke Bruerne where we enjoyed walking in the sunshine, a lovely meal and a short canal trip all together. Then in September we walked over the new Queensferry Crossing between Edinburgh and Fife over the Forth. at Banburgh, Northumberland for the day. On my other blog https//www.dianamj.wordpress.com I am celebrating contemporary Scottish authors, but otherwise this will be my last post on this blog until 2018. Sounds crazy doesn’t it. I can only wish you a happy Christmas and a peaceful 2018 to you all, and pray that the unrest in the world begins to be dispersed as people realise that it is much better getting on with each other. How wonderful that would be! 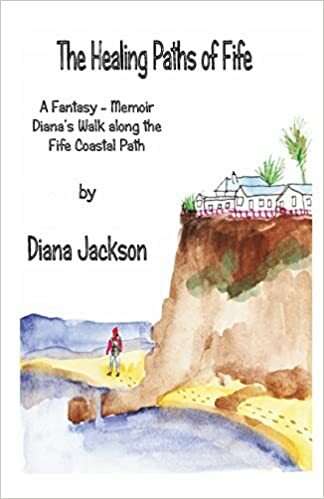 Author of 'The Healing Paths of Fife', Historical Romantic fiction ~ The Riduna Series set in 19th and early 20th Century a murder mystery ~ 'Murder, Now and Then' and two memoir. What links my books ~ history! Website:www.dianamaryjackson.co.uk Blog:www.dianamj.wordpress.com Riduna on Twitter and on Facebook too! Gallery | This entry was posted in Here and Now, Life and Hope, Life in Fife and tagged family, Fife, life, Scotland, thanks. Bookmark the permalink. Lovely 2017 photos, Diana. Looks like 2017 has been good to you. Love seeing Scotland — inspiring to me, too. Must be a joy living there. May you and yours have a blessed Christmas and New Year and I join with you in prayers for peace in the world. We need it more than ever. God bless — love and hugs. Great to hear from you, too, and love back to you, my friend, and family. Take care and God bless.